HOH Architects does not add light to the city, but makes use of what is already available: the light of streetlights. 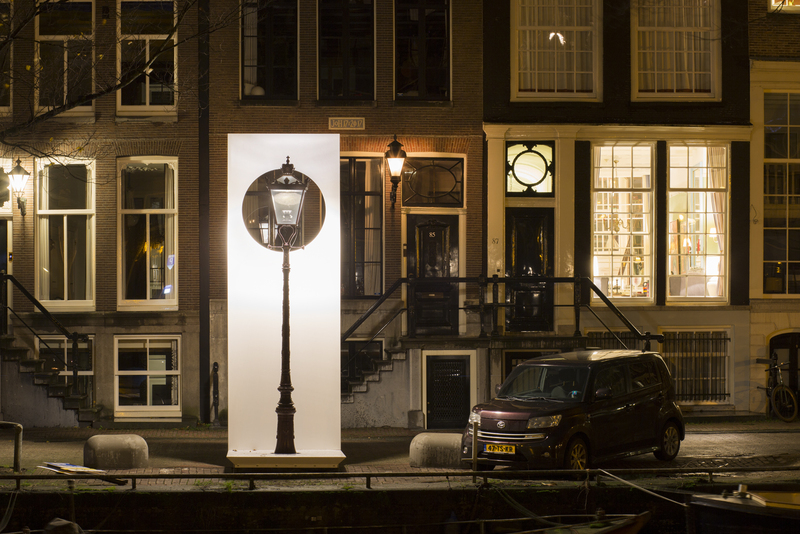 Three historical streetlights along Amsterdam's Herengracht – two crown lanterns (from 1883 onwards) and one Ritter lantern (a simpler model from 1898) – are placed on a pedestal on the waterfront. On the street side a screen that emphasizes the radiant light source even more in the evening frames them. The architects highlight the streetlights and elevate them to museum objects worth looking at. This also applies to the colour and intensity of the light itself. The modern LED lights in the crown lanterns, for example, create a cold, distant impression, while sodium light from the Ritter lantern has an old- fashioned but warm character. The lighting that always surrounds us on the street is therefore crucial for the atmosphere in the city: cozy, safe or unpleasant. HOH Architects asks you the question: are you aware of the presence of this essential light, or do you consider it a given? 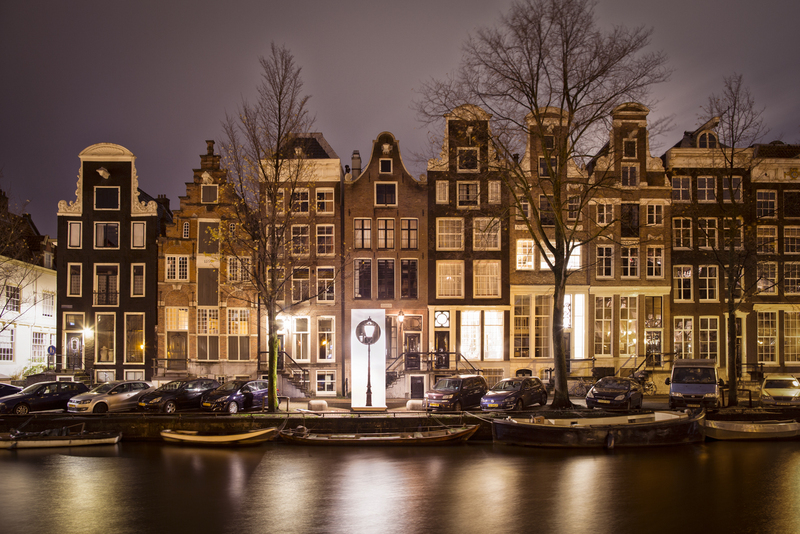 Street lighting, which has been a structural part of the city since the 17th century, becomes very special again. HOH Architects, founded in 2017 by partners Freyke Hartemink (1975), Jarrik Ouburg (1975) and Carsten Hilgendorf (1972), designs sustainable in their own way. They incorporate the existing environment (nature, buildings, infrastructure and space) into their designs in such a way – ranging from interior renovation to large-scale urban planning – that it is given an added, indispensable value. At the same time, according to HOH Architects, subtle interventions keep places of great historical significance, such as the inner city of Amsterdam (declared a monument by UNESCO in 2010), alive.